Selling Your Home in Las Cruces – In the opinion of many people, 2018 Seems to be shaping up to be a very good year to sell a home. Demand remains strong thanks to job growth at WSMSR, especially now that Spring is closing in on us. Conditions are favorable, all of which creates a market that is ripe for selling a property. Las Cruces Real Estate home values are at an all-time high which is to the seller’s advantage. 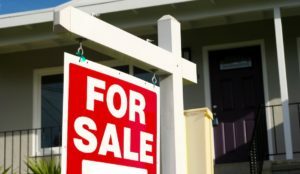 If you plan to sell your home in Las Cruces this year, here are tips to maximize your profits and streamline the sales process. Las Cruces Real Estate Agent s are very common and easy to find so it is important that you don’t go with the first Real Estate Agent you find. Go online and see what other people are saying. You can find Reviews on Google, Yelp, and Zillow. The internet is a great tool to research. Also, asking friends and family if they have a Real Estate Agent with whom they had a positive experience would be wise. Finding the best Real Estate Agent in Las Cruces can be difficult, but with a bit of research, it can be done. Spring is a peak buying season, and listing a home in Las Cruces during the season allows sellers to take advantage of home prices being more competitive which will cause prices to rise. Usually, according to local research, homes put on the market in early May sell 10 days faster and for 2% more than the average listing. Even though the weather doesn’t affect the Las Cruces Real Estate, the holiday’s and tax season do. Before putting your home on the market, think very carefully about what you want and matters to you as a seller. Putting homes for sale in las cruces can be tricky and most people don’t think about what they want. Is it a quick closing so that you can move into a new homes in las cruces? Or are you just trying to maximize your profit? Determine what your goal and motivation is. New home sellers often get incorrect information about their home’s value from the wrong sources. Friends, family, or even neighbors can have an opinion on the price of your home and they aren’t real estate experts. Las Cruces Real Estate is not as difficult as bigger cities, but pricing can be a pain. Keep in mind that almost any Real Estate Agent will create a Competitive Market Analysis at no cost and will give you an idea about how much your home can sell for. Looking at homes, internet prices, and driving around will also help. Keep in mind, using a Las Cruces Real Estate Agent will avoid you most the work but you still have to do some looking around and be informed. It’s your house after all. People think that selling a home in Las Cruces or anywhere else won’t cost any money. Well, for most first timers, they need to know that the seller is the one that pays the most in a transaction. When selling your home in Las Cruces, you will find that you have to pay for closing costs, home prep projects, cleaning, staging, and much more. You can be expected to spend anywhere from $10,000 to even $20,00 to sell your house, depending on the location and price. When it comes to the Selling Your Home in Las Cruces, there is nothing more attractive to a buyer than a nice yard. New Mexico is known for having bigger lots, therefore bigger yards are common. As a seller, you should keep in mind that a nicely well-kept yard will make your home look incredibly valuable. The Las Cruces region doesn’t have too much vegetation, so a simple landscaping job won’t be too costly or take too much time. Usually, in the Las Cruces Real Estate Market, this is the job of the Real Estate Agent. Agents in Las Cruces commonly have a preferred photographer who will make sure some really nice pictures are taken of your home. Photographs are very important because your house will be advertised in the Las Cruces MLS (FlexMLS), in banners, online, and much more. The picture will attract buyers and even other Real Estate Agents. It allows everyone to see what the house kind of looks like without having to step foot in it. When selling your home in Las Cruces, pricing your home correctly can be important as mentioned before. Most sellers price their homes higher than what the Real Estate Agent suggests which puts a halt on showings and will usually force the home to be on the market for a longer period of time which will in turn stigmatize the property a bit. It is better to price it a tad big lower than what the Agent Suggests. That way, the house looks more attractive than the rest of the houses; price wise. Keep in mind, it is only slightly lower. If you feel like you want to keep more money, it is probably better to negotiate your Real Estate Agent ‘s commission or closing costs instead of the price. Selling or even buying a home in Las Cruces can be very emotional but change is sometimes necessary. Most people remain emotionally attached to their homes, but they need to keep in mind that they are moving to a better home. Emotions can affect the decision you make when you’re presented an offer and much more. Try to remain neutral.